Vertigo VSC-2, Software compressor from Brainworx. 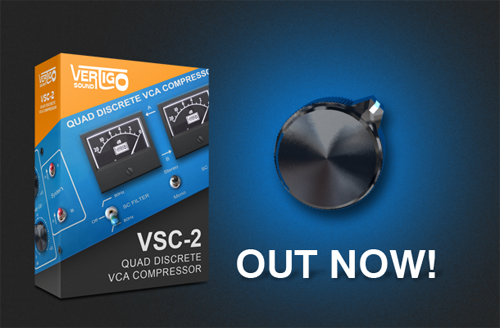 The Vertigo VSC-2 Compressor plugin is out now, with free 14-day demos online. The plugin was modeled after Vertigo's 6,000 $ compressor. 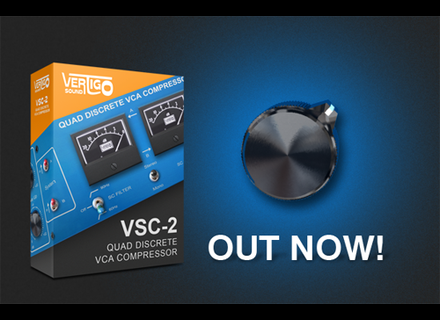 The VSC-2 Quad Discrete Compressor is so named because it uses 4 VCAs built by hand using discrete components. Its design is a nod toward the best VCA based compressors of the 70s and 80s. Although the VSC-2 was developed as a Stereo Bus Compressor each channel provides a set of controls which also makes the VSC-2 a dual mono for recording and mix situations. Brainworx also announced that they're officially launching 64 Bit and AAX plugins in January 2012. Due to internal beta testing delays, the new release for the whole line of Brainworx plugins, as well as for the SPL and Elysia (and Vertigo, of course), was pushed back to January 2nd, 2012. Steinberg Triebwerk Expansion Pack Steinberg released its latest VST Sound Instrument Set, a sound expansion pack for HALion 4, HALion Sonic and HALion Sonic SE, with 400 presets, created for "pop, house and everything in between." iZotope Ozone 5 Released iZotope, has announced the release of Ozone 5 and Ozone 5 Advanced. Xenium Audio Updates XR-1 Xenium Audio has added Windows 64-bit VST version and more impulse responses to XR-1 convolution reverb.